In truth, though, Atalanta don’t have a great record of late. In their last 5 games, they have lost 3 and drawn 2. And yet despite these results, they sit 13th on the table. With a 2 point deduction. When you factor in that we will be traveling to their house, we cannot be complacent. Plus, you have to respect that La Dea was the woman who launched Pippo into stardom, and the only time he ever wore the nerazzurri colors. A definite threat, but he screams like a girl. In their 1-1 draw against Cagliari last weekend, Colantuono lined up Consigli; Cigarini, Brivio, Stendardo, Ferri; Biondini, Giorgi, Canini; Bonaventura, Moralez, and Denis. However, Giorgi was red carded in this match, and there are a few long term injuries, too. Additionally, Peluso is now trolling Juve’s flanks, so there’s a threat we avoid until April. Lastly, Canini scored an own goal to give the point to Cagliari, so maybe we don’t have much to fear after all. Speaking of own goals, Milan welcomed Zaccardo yesterday. While it is doubtful that he will start on Sunday, it is a threat we will now have to be aware of until June 2017. I usually like a player who is versatile, but sometimes when a player says “I can play anywhere in the back line,” it is more of a threat than a promise. Speaking of promises, remember the “plan” we were promised this year? Yeah, me, too. As far as availability for Milan, Mesbah, Acerbi and Strasser will obviously not be available… for the rest of the season. I wish them all the best. Ambrosini is still questionable, and I haven’t heard yet if Yepes will be back. But I’m going to go out on a limb and guess that we might see a Muntari start, maybe even in front of the defense. Until a few hours from this writing when Allegri will report the lineup that Berlusconi has given to him, I have no idea who Allegri will start. While he seems to have realized who his back line should be, I’m not sure he’s ever had them all available at one time. If he trusts in El Shaarawy and prefers Pazzini as a “point of reference” in attack, the third spot is a wildcard now that he’s relegated Boateng to the midfield. And speaking of the midfield, that has become Allegri’s new defense with more lineup changes than Boateng takes shots. With all of the mind changing from management lately, I’m not even sure that Boateng will play at Allegri’s latest preferred mezz’ala position tomorrow. Let's hope Kevin Princess Boateng stays on his feet for this one. Like every match this season, I am uneasy and uncertain of what will happen. Will the team come out motivated? Who will even start? 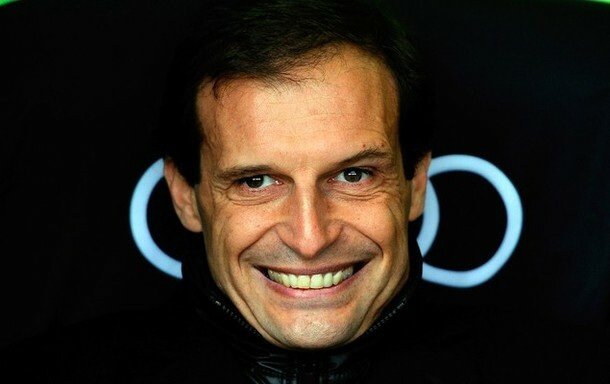 Will Allegri shout “Dai Dai Dai” the whole time, or just sit and smile that creepy, creepy smile? And will coach Berlusconi grace the team with his presence, or will he be campaigning or appearing in court? You never know with this Budget Milan™ this year. The only thing that is certain is that our hearts bleed red and black. And the 11 players that take the pitch will honor the shirts they wear to the best of their abilities, whatever they may be (I’m looking at you, Zaccardo.) And we can hope that in Bergamo, luck won’t be a Lady tomorrow.